What's pink, purple, windswept and the epitome of cute? The upcoming Blown Away Valentine's Day Bao (our best guess at a name). 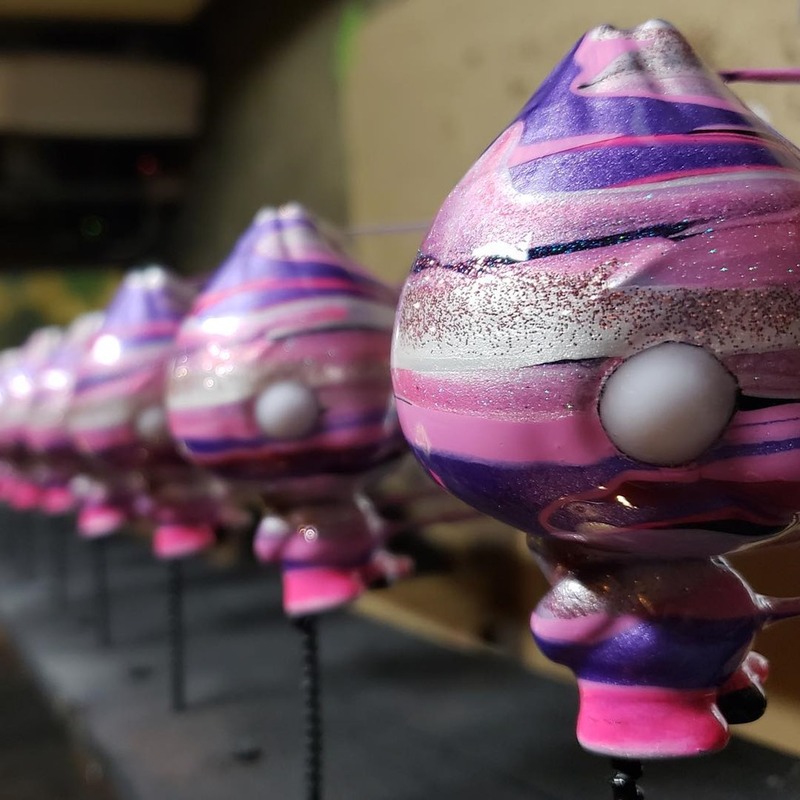 As shown in this WIP pic from Pobber, Josh Mayhem is working on brining his signature style to a custom run of Scott Tolleson's Bao vinyl. We're looking forward to seeing a full reveal of the finished pieces. No release info yet other than 'soon'—figured a little heads up might help with 'toy financing'.